Can't access the online version says either login ID or password is incorrect and when I try to use the desktop version it says there is an internet connection problem and to refresh. Internet obviously works as I'm sending this request through the same internet. I have tried on my desktop and 2 different laptops. Please fix. Thanks. ok. thank you for the info. it help me now to login. 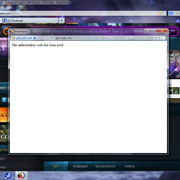 same problem here, used web browser cant login too. try quick login with facebook account still cant login. The issue has been fixed unless you are saying it is still happening to you. If it is happening now please let us know with your in game details. 2019-4-23 00:54 GMT+8 , Processed in 0.051636 second(s), 44 queries .